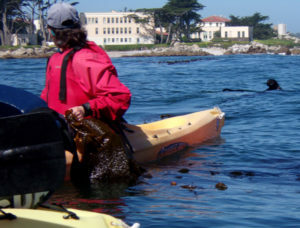 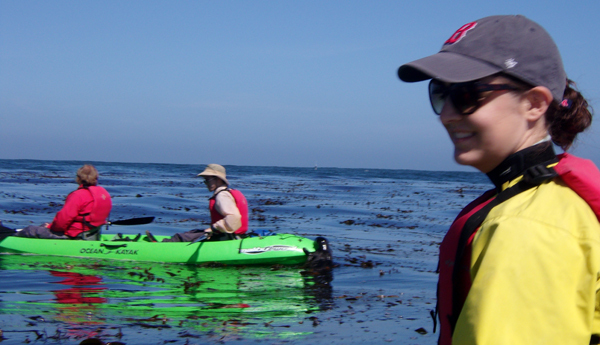 For the De Anza College spring break kayak trip on Monterey Bay, in March 2016, the first marine mammal we saw after launching, (besides scuba divers) was a seal that swam between our kayaks. 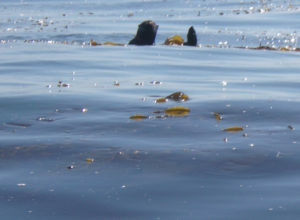 The otter swam among kayakers but was hard to get a picture of. In this photo the otter is among the left hand group of kayaks in front of the fishing boat. 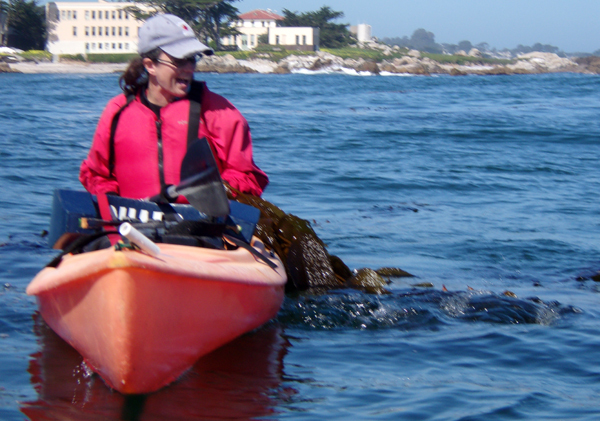 You can also see a standup paddleboarder in the center top of the page and a distant sailboat off and behind him. Below, Jessica Perine (holding on to some kelp to keep her kayak from drifting in the swells), sees the otter surface near her. 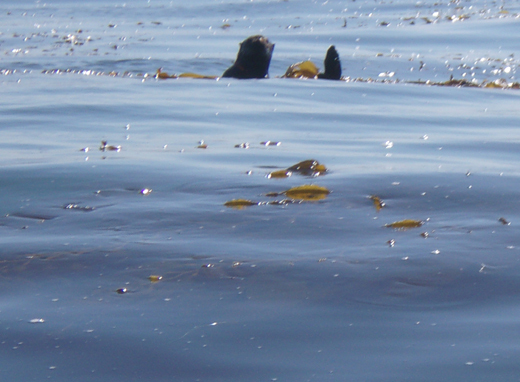 and giggles as the otter starts to climb up on her kayak (I got the photo a second late and you can just see the otter surface diving).